Sedum spathulifolium 'Cape Blanco'. 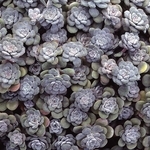 A unique ground cover for sunny, dry areas. 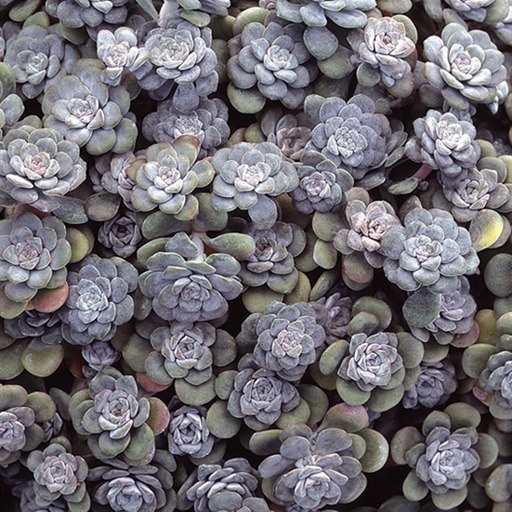 The silver blue succulent foliage is topped off with starry yellow flowers in early summer. A native plant of the west coast, from California to Canada.